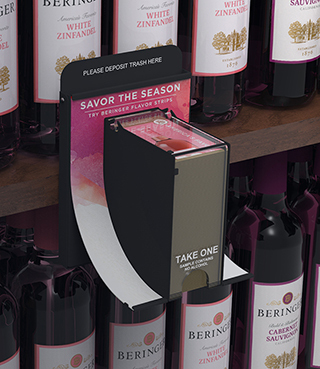 A unique concept that provides an innovative way to distribute product samples to consumers by utilizing a custom dispenser and graphic display. Bench Dogs partnered with TWINOAKS and Treasury Wine Estates to produce a collective vision for the design. The objective was to generate interest within the retail environment, stand out amongst competing products and to encourage buying decisions through the sampling process. The idea of a one-of-a-kind tasting station, with custom dispensers that distributed taste strips in a variety of flavors, began to unfold. TWINOAKS and Bench Dogs led the design process, working through a series of prototypes before landing on a final dispensing system. The chosen concept allotted for the tight spacial needs of product-packed retail shelves, by utilizing a sleek, compact profile to ensure a minimal footprint. The unit’s distinct shape and bold graphics were strategically developed to draw in the consumer and to add a pop of dimension to the shelf space. The display’s inner mechanisms ensured that only one sample would be distributed at a time. With the retailer in mind, a clear, acrylic topper was used to simplify the re-stocking process and allow full visibility of the quantities remaining The display also addressed the issue of excess waste by providing a disposal slot along the top of the unit and a spring-loaded latch along the base so that retailers could easily empty the device once it was full. Bench Dogs handled all the graphics and screen printing for the design, which consisted of sheet metal, acrylic and styrene materials. The tasting station design was met with overwhelming praise; far surpassing the client’s ROI expectations. 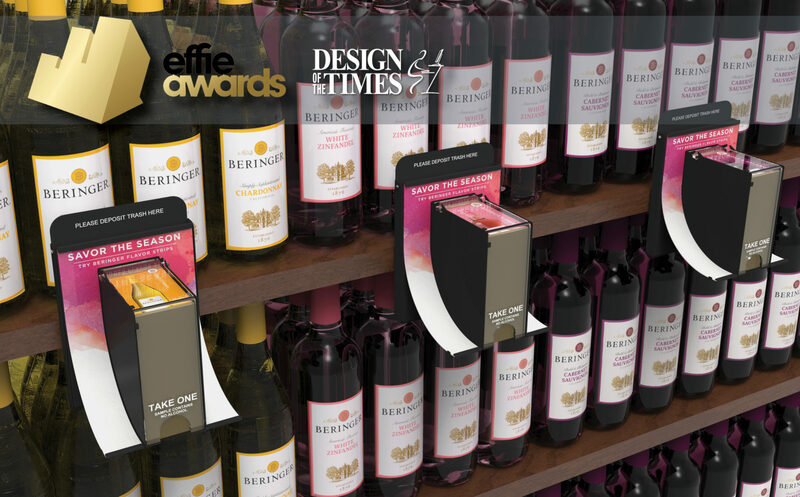 The display also garnered mass interest from the field, claiming one of the retail industry’s prestigious EFFIE awards, as well as a coveted DESIGN ON THE TIMES award. 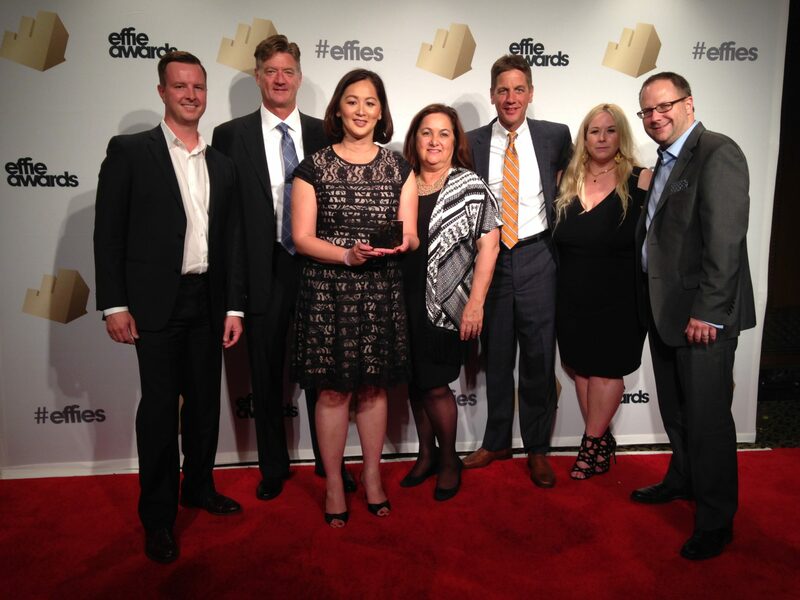 To date, over 2,000 units have been produced and distributed nationwide.